A common feature request I hear from people using Wordpress with Micropub apps all the time is they want certain apps posts to appear in certain wordpress categories by default. 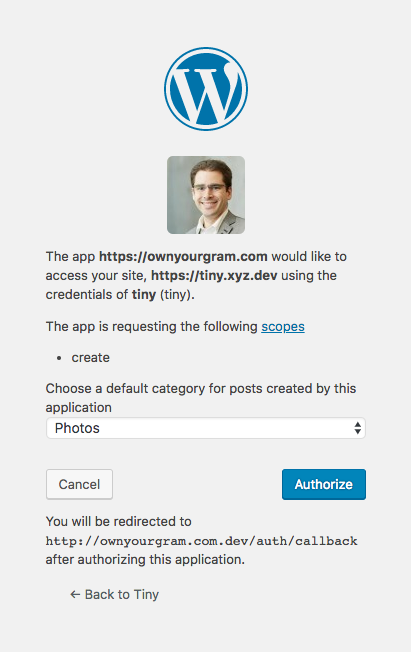 For example, all posts from OwnYourGram should be added to the "Photos" category, all posts from OwnYourSwarm should be added to the "Checkins" category, but posts from Quill or Micro.blog should be "Uncategorized" or set to "Microblog". With the built-in authorization server, there is a great opportunity to have the wordpress plugin handle this now. It will take coordination with the Micropub plugin as well. If the create scope is requested, then the authorization screen can provide an additional field for the user to select the default category for posts created by that application. When the token is generated, the category ID can be stored in the database along with how it stores the token scope and all the other token info. Then the Micropub plugin can look at the token and if there is a category ID in the token, use that when creating the post. Saving the value from this select box will be easier once #24 is fixed. Seriously Simple Podcasting is a great Wordpress plugin for hosting your own podcast. However, the number of episodes it includes in the RSS feed is tied to the number of items you include in all your other RSS feeds as well. 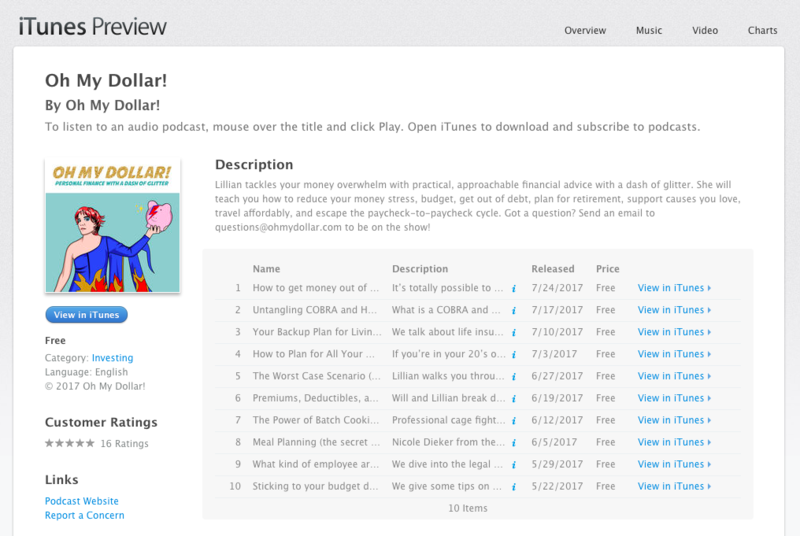 If you want your podcast listeners to be able to find old episodes, you'll need to make sure that all your podcasts appear in the feed all the time, since some clients like iTunes will treat your RSS feed as authoritative, and delete episodes from their directory when they disappear from the feed. This podcast has almost 30 episodes, not just 10! Tonight I took a plunge into the WordPress plugin to see why it was only including the last 10 posts. It turns out the plugin will actually show the number of posts of all your other RSS feeds, and also provides a hook to override that. Why they don't expose that in the interface I don't know. So, rather than making all your RSS feeds show all of your posts (which will slow down your site and use a lot more of your server's bandwidth), I wrote a plugin that overrides the default setting! Download this plugin to your plugins folder, and enable it in the WordPress panel! 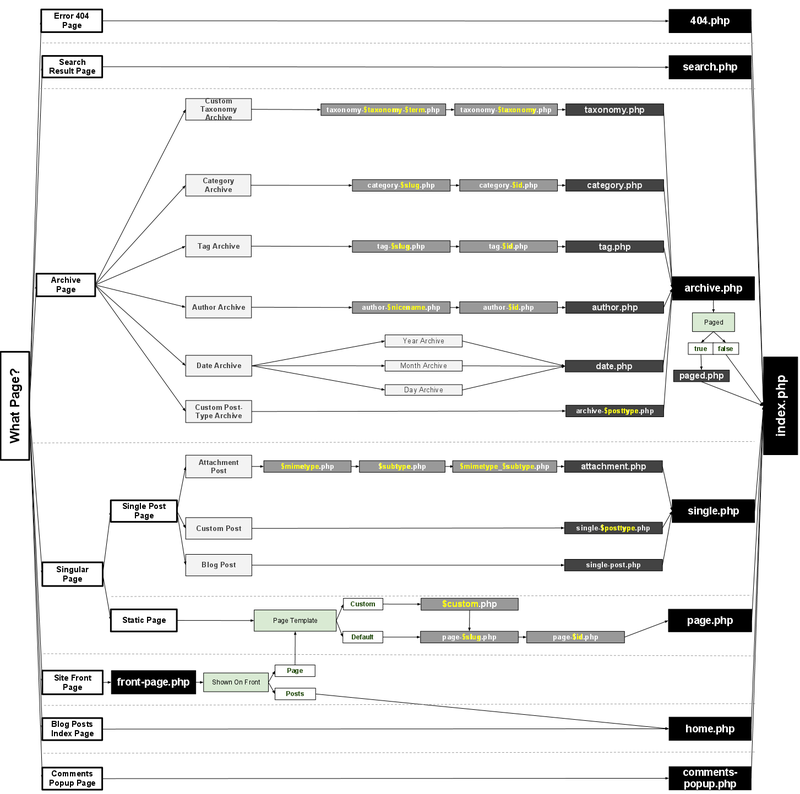 You can download the zip linked below, or just copy and paste this super tiny amount of code into a file in your plugins folder. Note that after you install the plugin, you'll have to change something about your podcast (upload a new episode, change the description of an episode, whatever) in order to get the plugin to regenerate the RSS feed since it seems to cache it. @Suw @kevinmarks In my experience, the conceptual difference in WP between posts and pages is that pages aren't dated and don't show up in time-based lists.